There are portable and standby generators that can help power up your home along with appliances, tools, and machinery. A standby generator cannot be moved around and is ideal to use at your home especially if you experience a power outage. If you have a lot of electricity that is generated throughout your home for many lights, electronics, and tools then you may want to consider a generator that operates on a higher voltage than the most generators. Here are some of the best standby generators under 20,000 watts that can be found online or at your local hardware store. If you want to see more generators that will come on automatically when the power goes out, check out our standby generators here. 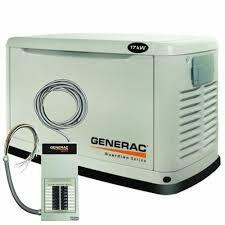 This Generac Guardian Series 5873 Natural Gas/Liquid Propane Powered Standby Generator comes with a transfer switch. There is no manual start and it has a hands free operation. It will need to be maintained once every two years. It has a flexible pigtail fuel line and pre-wired conduits. There is an outdoor connection box and a composite mounting pad that allows you to avoid using a concrete base. There is an external GFCI outlet and clear digital controls for easy use. It has a steel enclosure to help protect it from bad weather. It costs about $3,700 online and comes with a installation guide. It runs on 16,000 watts continuous and 17,000 watts surge. There are 16 circuits that are protected. You can run a periodical quiet test low speed exercise mode to maintain its low noise level. This is one of the best standby generators under 20,000 watts available to purchase. It will power up your home within seconds of losing power. Centurion Series by Generac Automatic Standby Generator has user friendly digital controls and comes with its own mounting pad to avoid having to use a concrete base. It has a pre-wired transfer switch to the more sensitive electronics. It runs on 15,000 watts maximum output. As it is easy to install it is easy to use as it will kick on within seconds of a power outage. It has an external common fault alarm and a remote maintenance LED. There is a battery voltage display that allows you to determine when the battery needs charging. 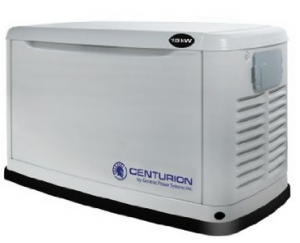 This generators costs about $5,800 online and is considered one of the best standby generators under 20,000 watts. 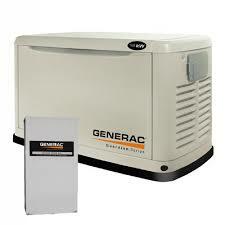 Generac Guardian Series 6052 Propane/Natural Gas Powered Standby Generator comes with an air cooled engine that provides weekly testing on the quiet test mode to maintain less noise than most other generator brands. It has a steel enclosure to help protect it from harsh winds and corrosion. A RhinoCoat finish also enhances its weather protection. It comes with a transfer switch and shows a battery voltage display to know when you need to charge the battery.There is a remote maintenance LED and digital controls to make using this generator much easier. It is non carb compliant and is not sold in the state of California. This machine sells for about $4,300 online and received 4 stars from Amazon reviewers. It runs on 14,000 watts surge. 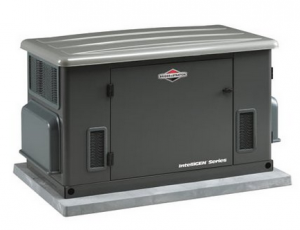 These are all among some of the best standby generators under 20,000 watts on the market. They all offer various types of features as well as pricing.